The Communication Authority of Kenya released the quarterly statistics report for the period between January and March 2015, on the mobile telephony sector. According to the report, Kenya currently has 29.2 Million internet users representing 71% of the population from 61%. Mobile internet accounted for the largest number of internet users in Kenya with 18.8 million users. The market share for other fixed/wireless data/internet subscriptions for the top ten operators in the market experienced different market reaction. Wananchi Telecom, which operates Zuku had the highest market share in the quarter with its market share at 46.8%. This was a decline from 48.8% representing a 2% fall in market share. 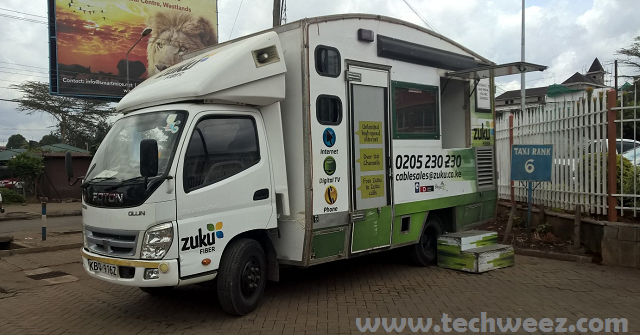 Zuku is one of the pioneers in Kenya for the triple play service and provides three services; internet, TV and telephone via a single fiber connection. Liquid Telecom follows with 15.3% which was also a decline from 15.7% despite a growth in the number 0f subscriptions. Liquid Telecom ventured into the Kenyan market after the acquisition of Kenya Data Networks in a bid to concentrate on both the wholesale enterprise and retail markets in 2013. Telkom Kenya followed with a 10.1% market share with subscribers having grown to 12,083. Over the same period, the number of mobile broadband subscriptions rose to 5 million from 4.07 million representing a 23.1% and a 2.6% increase. Fixed and wireless subscriptions on the other hand rose 11.1% to stand at 100,000 from 90,000 subscribers during the quarter. 57,742 subscriptions had advertised speeds of 2 Mbps recorded while 20,654 subscriptions had between 256 and 512 Kbps. 11,701 subscriptions had speeds between 1 Mbps and 2 Mbps. The amount of international internet bandwidth grew by 96% over the same period to stand at 1.6 million Mbps from 847,523 Mbps. This growth was attributed to upgrade in capacity by some providers.